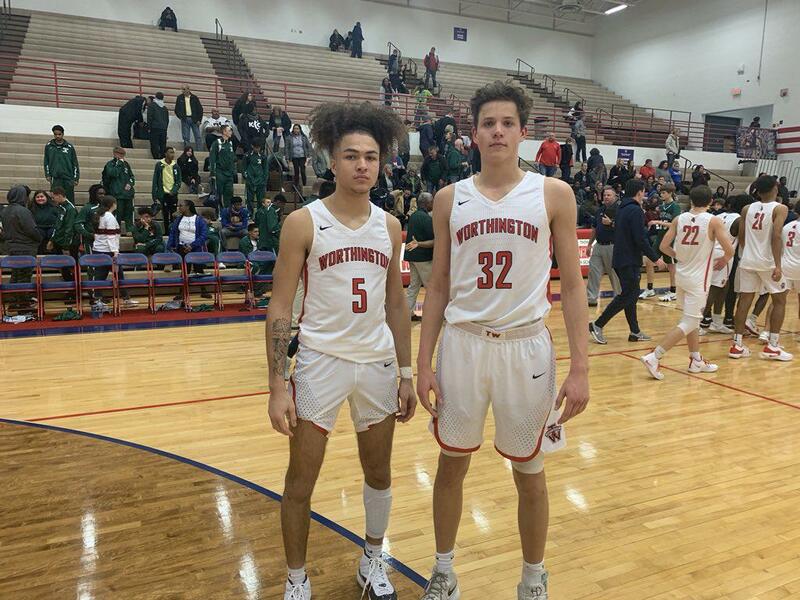 WORTHINGTON, Ohio -- In a game that started out slow with sloppy play, Thomas Worthington really turned it on in the second half, out scoring Westland 45-21 to roll to a 64-40 victory. Thomas Worthington has some weapons and it’ll be interesting to see how their mixture of seniors and youth will power them this season to a hopeful tournament run. Westland, even in a disappointing loss, competed hard for the entirety of the game. You can see there’s a change in culture and they won’t just be a team that teams walk over this year. Isaac Settles (6’5 WG / Thomas Worthington / 2021): Settles struggled in the first half but didn’t let that get him down. The sophomore came out aggressive after halftime, totaling 12 points in the third quarter alone. Settles definitely passes the eye test standing 6-foot-5. He’s matured a lot since his freshman year and plays with a more confidence. Finishing at the rim right now is where Settles excels but he was able to knockdown two threes, which will be a key component to his development going forward. He finished with a game-high 17 points , three rebounds, three steals. The sophomore trio of Settles, Jalen Sullinger, who is fully healthy this season, and Maurice Collins will be one to keep an eye on for the Cardinals. Ben Wight (6’8 C / Thomas Worthington / 2019): Plagued with early foul trouble, Wight also had a slow start. In the second half Wight picked it up, especially on the glass, as he totaled 11 points and 15 rebounds. Wight was as aggressive as I’ve ever seen him on the block demanding the ball. The Ohio University commit will need to have a monster year in order for Thomas Worthington to compete with the upper echelon of the OCC. A huge test comes in the form of Hilliard Bradley on Friday.